SNOHOMISH COUNTY, Wash. – In 2013 there were 86 opioid drug overdoses in Snohomish County, and 580 within Washington State. The availability of naloxone (sold under the brand name Narcan) could potentially cut down on deaths due to heroin and prescription opioid drugs (morphine, oxycodone/OxyContin, methadone, hydrocodone/Vicodin, and codeine). The Washington State 911 Good Samaritan Drug Overdose Law lets bystanders give naloxone if they suspect an overdose. This law protects the victim and those helping from prosecution for drug possession. 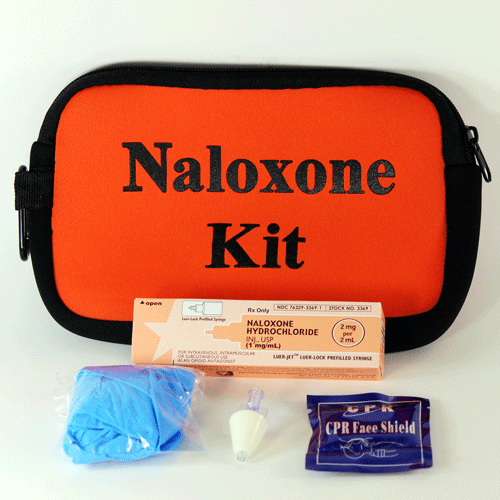 Washington State law states that anyone at risk for having or witnessing a drug overdose can obtain an overdose reversal kit (containing naloxone). This would include drug users, family, and friends. Naloxone cannot be used to get high and is not addictive. The Alcohol and Drug Abuse Institute at the University of Washington offers additional information on Naloxone and its uses at www.stopoverdose.org. According to Dr. Gary Goldbaum, Snohomish County’s Health Officer and Director of the Snohomish Health District, “Even a single death due to opioid overdose is unacceptable.” Although helping drug users to quit is the best approach, Dr. Goldbaum notes that “Naloxone can be life-saving.” He urges anyone who has a friend or family member who uses drugs to consider keeping Naloxone easily accessible. This entry was posted in Health, News and tagged Naloxone kits, overdose, Snohomish County by Kim Kalliber. Bookmark the permalink.